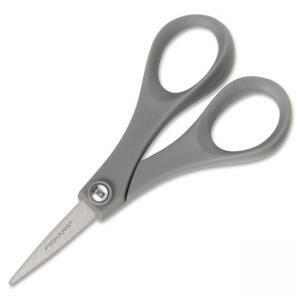 Double-thumb scissors are specifically designed for completing office tasks comfortably. A larger, double-thumb handle provides comfort in all cutting applications. Use to cut papers, boxes and more. Scissors can be used in the right or left hand. The plastic handles are made with recycled material.